We’ve just published a new build of the Word Add-In, which among other things, supports replication between users of images and comments. For a good while now, with Plutext you’ve been able to be in a Word document at the same time as your co-workers – provided all you were doing was working on tables and paragraphs (editing them, inserting, deleting or moving them around). With this latest release, you can add images and Word comments, and have them replicate properly between Word 2007 users. If you want to play with this yourself, you can download our Word Add-In and give it a shot! For username & password, please see here. The password is “tester”. For detailed instructions, see this PDF, or this earlier screencast. 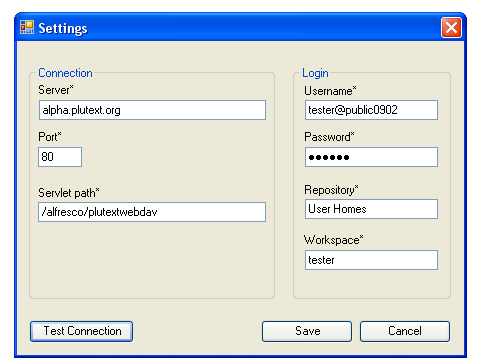 If you’d like to chat about your own Plutext installation, please contact us using this form. You are currently browsing the docx4java aka docx4j – OpenXML office documents in Java weblog archives for March, 2009.